Recent scholars who have emphasized the split between US and UK interests and ideologies, do not acknowledge that both countries wanted to prevent the Soviet Union from making inroads in the Middle East. Both countries viewed the Jews as materialistic and hence real or potential communists. Both countries wanted to protect their oil and strategic interests in the region. Before the armistice talks in 1949, Freda Kirchwey and Lillie Shultz of The Nation Institute accused Count Bernadotte and Bunche of being agents for the UK, and they were probably correct—at least both men catered to UK interests. Some historians (e.g., Sidney Bailey How Wars End: bizarre title implies that wars do end with proper mediation) have covered up the visit of McClintock (US State Department) and Troutbeck (UK) to Bunche and Bernadotte three days before the assassination. The result: most of the Negev was to be awarded to Egypt (? and indirectly to UK? ), and taken away from the area established in the partition resolution of the UN Nov.29, 1937. But then, CB and Bunche viewed that resolution (hated by Bevin) as a dead letter anyway. It has long been my view that the UK never intended to give up the Mandate, for the Negev was to be an air base and storage space for the weapons previously parked in Egypt. These pages also verify my memory that Bunche and his supporters blamed all Jews for the Bernadotte assassination, directly or indirectly. All Jews are terrorists, he implied: Even the Israeli moderates in the Jewish Agency and then the Provisional Government of Israel should not have blamed the UN for partiality toward Arab interests. Hence they are terrorists too and are responsible for the “extremists” who shot Bernadotte. Of all the elements of anti-Semitism through the ages, the most relevant for Israel’s founding are Jews as liars and haters (as opposed to “neutral” peace-loving UN, Bernadotte, and Bunche). If there is such thing as forbidden knowledge, these papers are it. [Anti-Zionists] argued that the Bernadotte assassination proved that Israel was not ready to be a sovereign state. The UCLA National Center for History in the Schools produced a [blatantly pro-Palestinian, pro-UN] 180 page “lesson plan” for grades 9-12 that implies Bunche was a superb and impartial negotiator, but the record shows that US and UK were determined to impose a settlement based on their (divergent) interests, not Jewish interests. NEVER. But the idea of conflict resolution must be defended by moderates at all costs, so these materials go generally unanalyzed. They follow the Arab elite narrative: Palestinian Arab farmers were uprooted and expelled by heartless, displaced-persons-obsessed, deracinated Jews. Jews in PGI understand that Bunche’s main objective is to vindicate himself as successful Peace mediator. Many letters in Bunche papers criticize him for antisemitism (but from outsiders, not from PGI). Bunche insists that Bernadotte plans meant as negotiating positions, not imposed settlement. 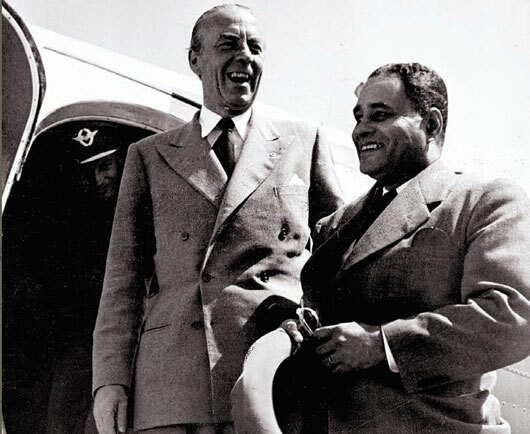 Above all, Bunche (and his staff, who knew almost nothing about Jews, the Middle East, and the Holocaust before they arrived with Bernadotte on the UN mission) wanted to vindicate the UN (then a new organization) as a successful actor on the world stage. His aim was to show that conflict resolution in the hands of a skillful mediator could serve the cause of world peace.